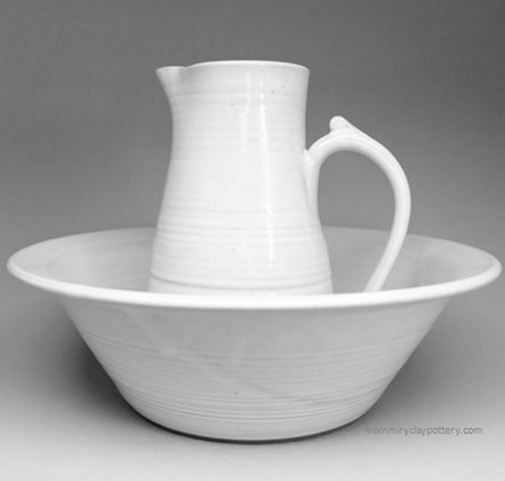 What does "Balanced Pottery" mean? Each vessel is created to best perform the task it is created for. 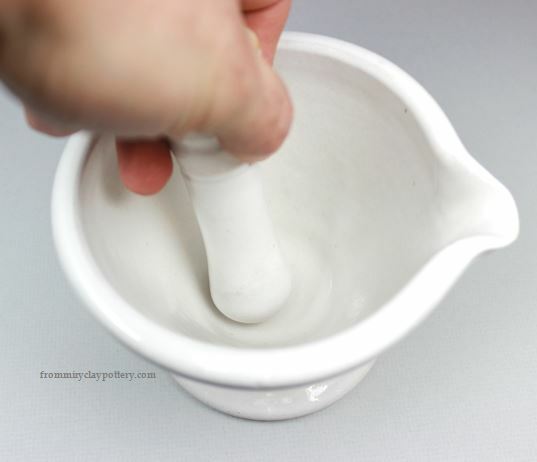 An example is our Mortar & Pestle. It NEEDS to be heavy duty so you can smash ingredients. Our mugs, however, are not used for smashing. They are made with thinner walls, thus making them a lighter weight for easy use. In addition to getting the thickness of the clay correct, we also adapt each piece to the job they are made for instead of making every piece heavy and cumbersome to use. Let's take a closer look at what we mean with a few examples. We make the base wide enough so it is not easily knocked over, yet narrow enough to fit on the counter. 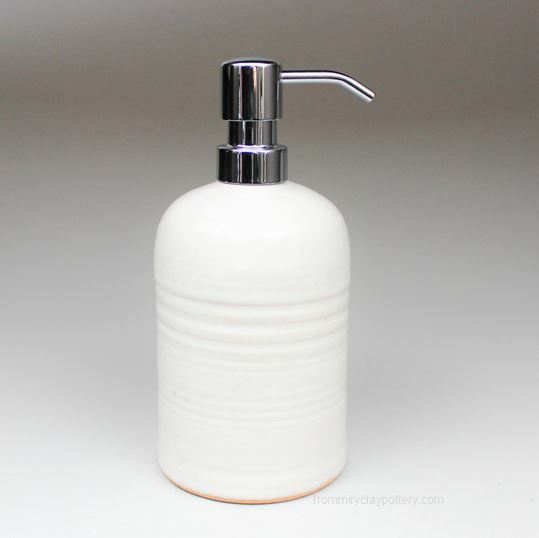 The finger ridges on the sides allow a better grip while you refill with your favorite liquid soap. We create the top of the dispenser with stone threads which insures a perfect fit that will last the ages. 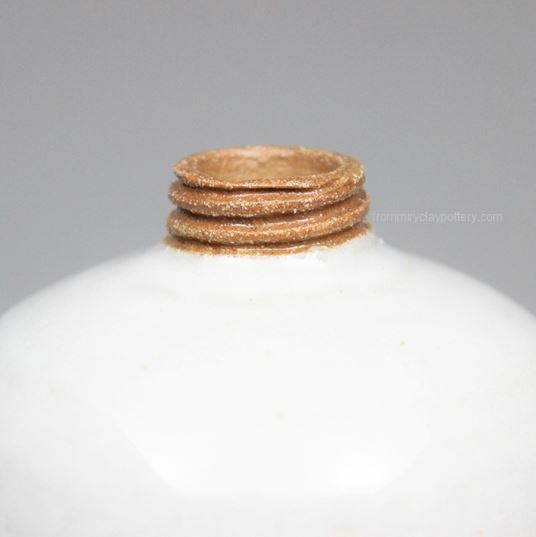 Many potters use a pump with a cork stopper which could wear out. 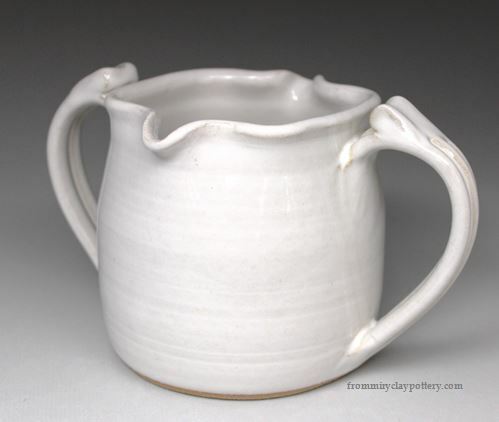 Other potters use a plastic collar that is glued onto the stoneware which could become unglued. 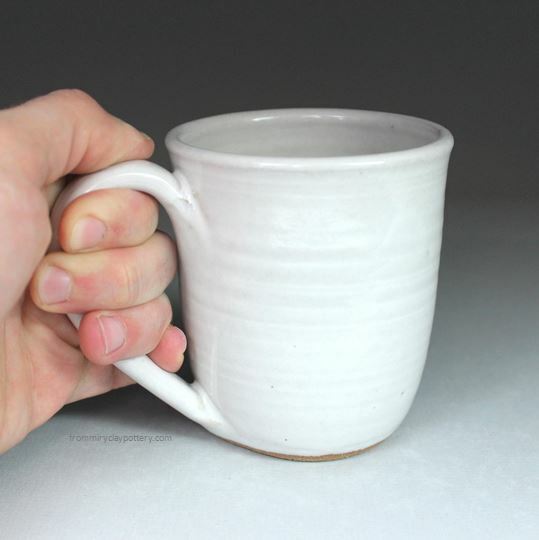 Each mug has the biggest handle possible to allow for as many fingers. 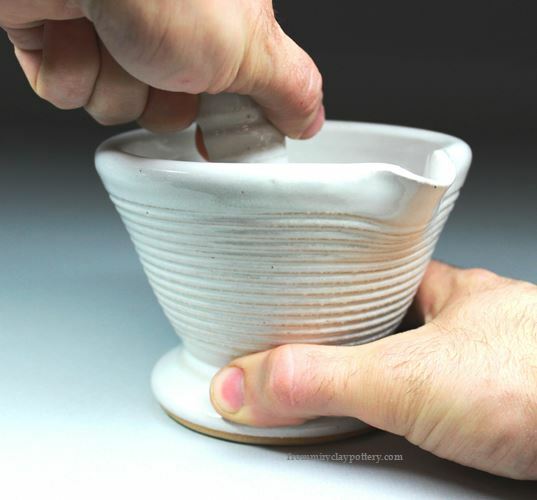 The clay thickness is just right, and our mugs are not heavy at all. We added two handles to this vessel which allows it to be easily passed to the person next to you. 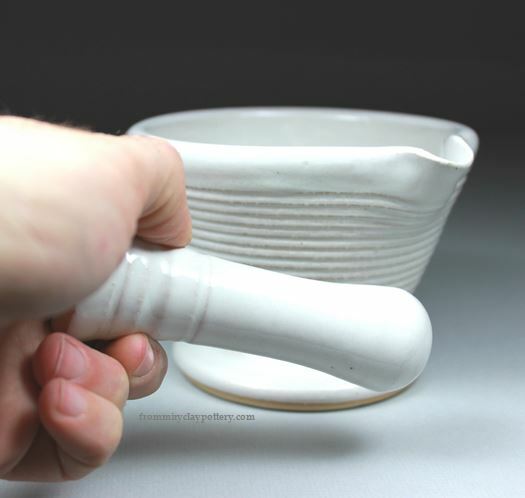 Each handle has a thumb tab which helps grab and pour. The two spouts are great for 'righties' and 'lefties'. The fluid ounce size is adequate for most families. The examples above show our purpose driven and graceful designs that we incorporate into each piece. 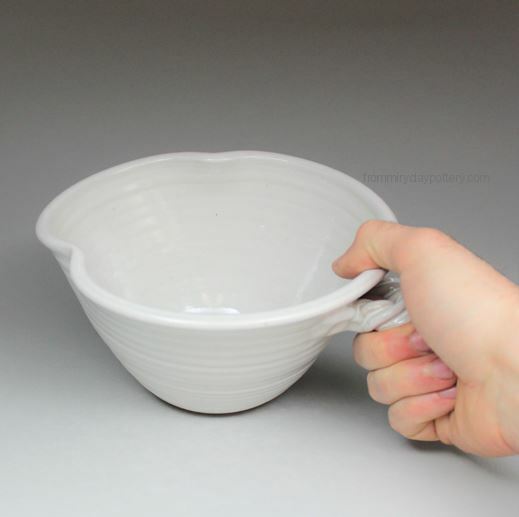 Enjoy mixing a batch of bread in our mixing bowl or sipping coffee from a curve mug. Let our simply graceful designs make your daily tasks more enjoyable. Have something in mind? This will help! Type what item you are thinking about in the box and hit enter.